Product #5638 | SKU TRS-203 discontinued 2 | 0.0 (no ratings yet) Thanks for your rating! 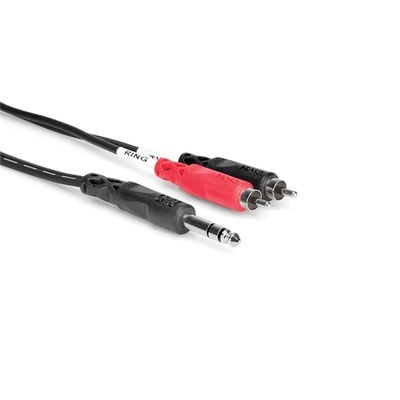 The Hosa TRS203 Insert Cable (3m). This cable is designed to connect a channel insert on a mixing console to an effects processor with phono jacks. Leads are labeled TIP (send) and RING (return) to aid in identification.